Centre for Environmental Law, World Wide Fund (WWF ) India provides opportunities to Law Students to pursue Internship at its New Delhi Secretariat Office. 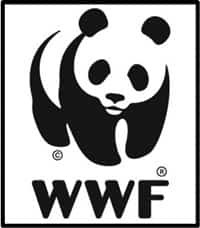 WWF has trained students from various International as well as National Institutions, some of them are: University of Twente, Holland and Eberhardt Karls University, Germany, JNU, Delhi etc. The World Wide Fund Internship is for a period of 45 to 60 days, applications for less than the mentioned period are not accepted. The Interested candidates are required to make applications at least 2 months prior to the start of Internship program and the students can apply for WWF India Internships a any point of time in the year. Nationality: The Internship opportunity is available for Indian as well as foreign students. Academic qualification: The applicants need to be a student of Law College/ Schools. Application form: The application form can be downloaded from the official website. Two reference Letter from subject Professors. Submission: The candidates are required to up send the above-mentioned documents along with the application form to the ‘pavoni@wwfindia.net’.